CANADA: The Canadian embassy in Cuba plans to halve its current staff in response to another incident of a diplomat contracting an unknown sickness. Since 2017, Canadian officials have confirmed 14 cases of the illness, affecting diplomats and family members. The symptoms, which include concussions, were also reported in 26 employees of the U.S. embassy. The Canadian ambassador will remain in Cuba, and consular services will continue despite the reduction in staff. It is not yet known if the recent health problems among Canadian and U.S. diplomats in Cuba are all related, and the illnesses —dubbed “Havana Syndrome”— so far remain a mystery. Few clues have emerged to explain what’s happening, but in December, a report from the University of Miami claimed that all U.S. government employees in Cuba who fell ill after hearing a high-pitched sound had inner-ear damage. VENEZUELA: Opposition leader Juan Guaidó claimed that officers from Venezuela’s Special Actions Force, or FAES, showed up at his home and intimidated his family. He said that four agents arrived at his apartment building and asked to speak to his wife. The Venezuelan authorities denied these allegations. FAES is a special Venezuelan police force known for its brutality. It is also currently being used by President Nicolás Maduro to suppress dissent from the opposition in poor neighborhoods. Guaidó warned Maduro against crossing the “red line” with his family. 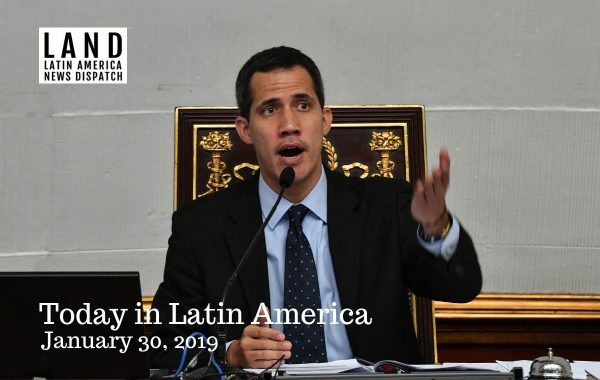 In his Op-Ed in The New York Times published on Wednesday, Guaidó wrote that the opposition coalition has had “clandestine meetings” with the military where the opposition offered amnesty to those not found guilty of committing crimes against humanity. 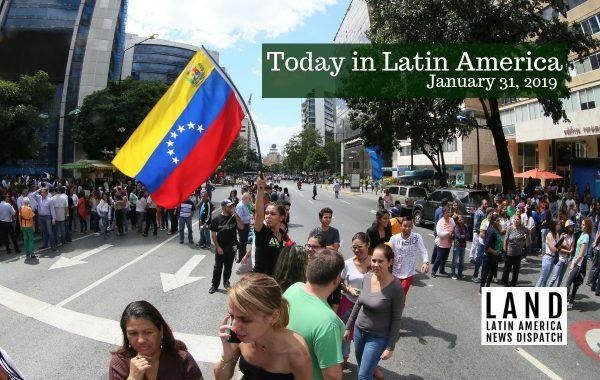 According to an opposition member, the meetings were held to discuss amnesty agreements and the threat of American military intervention in Venezuela. UNITED STATES: Detainees on a hunger strike at a detention facility in South Texas have been force-fed, according to an AP report. Though immigrants at detention facilities across the country are participating in hunger strikes, the largest number are being detained at the El Paso Processing Center. More than 30 detainees there, many of whom are asylum seekers, are protesting verbal abuse and threats of deportation from guards. A federal judge allowed force-feeding of several of the detainees at the facility in January after they had gone on strike. MEXICO: After years in decline, the monarch butterfly population saw a 144 percent increase over the last year. The butterflies made their annual migration from the continental U.S. to their winter habitat in central Mexico, taking up 14.95 acres of the forests of the Mexican state of Michoacan—compared to 6.12 acres last year. Because they travel in large groups, the monarch butterfly population is measured in surface area. This year’s measurement was the largest since 2006-2007, according to Andrew Rhodes, Mexico’s national commissioner for protected natural areas. PUERTO RICO: The Federal Emergency Management Agency (FEMA) added $29 million in federal grants to the island yesterday. The allocation of these financial resources include Puerto Rico’s Sewer and Aqueduct Authority ($16 million), the Public Buildings Authority ($7 million) and the island’s Housing Administration ($2.5 million) and Department of Education ($2.6 million). In total, FEMA’s Public Assistance program has allocated $5.3 billion to recovery efforts post-Hurricane María. EL SALVADOR: The frontrunner in this weekend’s presidential election aims to create an anti-graft commission. Nayib Bukele, former Mayor of San Salvador, has promised the creation of the Commission Against Impunity in El Salvador (CICIES) if elected, similar to the internationally sponsored bodies in Guatemala and Honduras. None of the other three candidates, who trail behind Bukele in the polls, made such a promise. Bukele, 37, would break decades of two-party rule in El Salvador if his Great National Alliance (GANA) party is elected in Sunday’s first round of general elections. 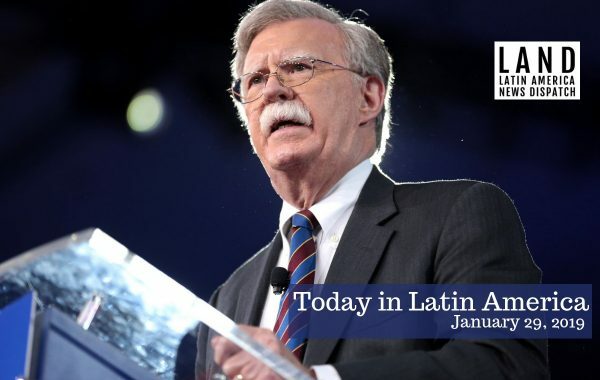 In November of last year, Bolton pledged to combat Latin America’s “troika of tyranny,” which includes Nicaragua, Venezuela, and Cuba. BRAZIL: Developers of the LHS Lifestyle building in Rio de Janeiro, a former Trump Organization building, were charged with corruption, money laundering and crimes against the financial system. 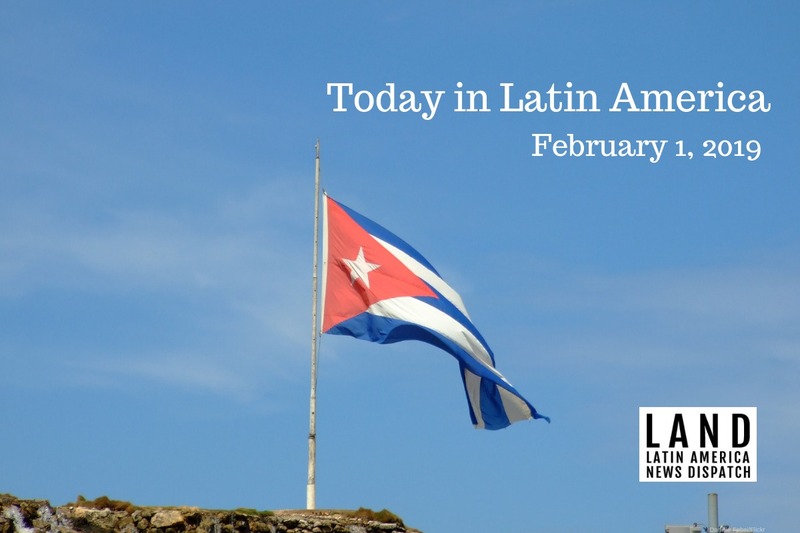 LHS Barra developers and investors were charged as a result of an investigation launched by Brazilian federal prosecutors who were looking into the building’s funding when they uncovered a bribery scheme. URUGUAY: The electoral court of Uruguay recognized four new political parties for the upcoming elections in November: Partido Digital (the Digital Party), Movimiento Social Artiguista (the Artiguist Social Movement), Partido de Todos (the Party for All) and Partido Democrático Uruguayo (the Uruguayan Democratic Party). The Movimiento Social Artiguista wants to name Guido Manini Ríos, commander-in-chief of the Uruguayan military, as its candidate even though he is constitutionally prohibited from running while he is the commander.